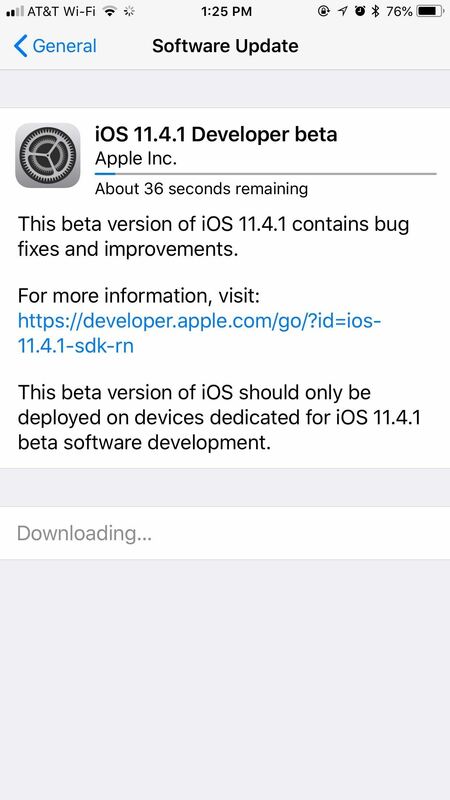 Apple released iOS 11.4.1 beta 1 to developers on Wednesday, May 30, just one day after the official release of iOS 11.4, which brought Messages in iCloud and AirPlay 2 to the public for the first time. There does not appear to be any new features in this first iOS 11.4.1 beta, instead focusing on "bug fixes and improvements" only. Apple's release notes for developers contain no comments on what's new or resolved in iOS 11.4.1 beta 12, nor any obvious issues that exist. 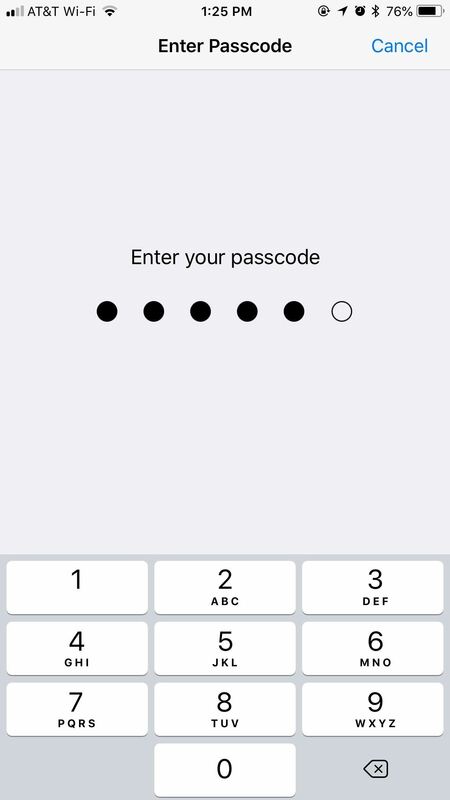 This is just one sign that this beta update brings minor bug fixes, security patches, and under-the-hood improvements to iOS. We won't know for sure until we dive into this new software, however, and we'll be sure to update this post if we find anything worthwhile. 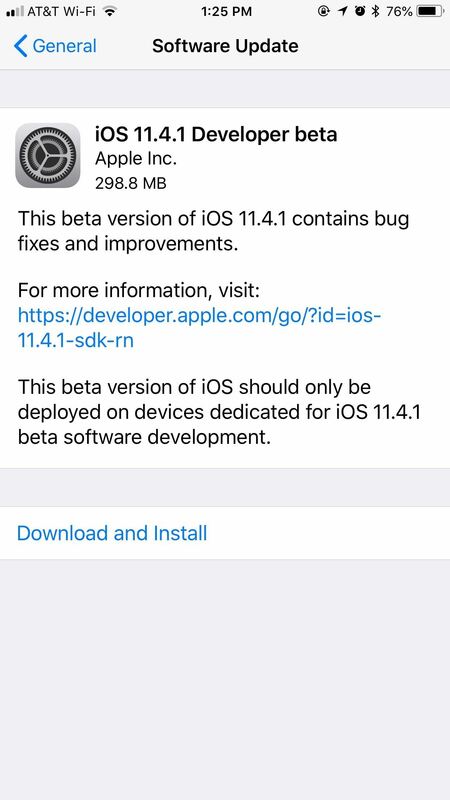 You can download the iOS 11.4.1 beta right now if you're a developer or public beta tester with a valid configuration profile. Open the Settings app, tap on "General," then select "Software Update." After that, simply follow the on-screen instructions to download and install iOS 11.4.1 beta 1 onto your iPhone. Beta testers might not know what's in store for iOS 11.4.1, but we do know all about iOS 11.4. The new update saw the long-awaited released of Messages in iCloud and AirPlay 2, features that have sat in testing since their announcement in June 2017. While users with an AirPlay 2-compatible speaker can try out the enhanced controls, Messages in iCloud hangs in a sort of limbo, as Apple has yet to release a macOS update containing the feature. As we continue to test iOS 11.4.1, all eyes turn towards June 4 when Apple will unveil iOS 12 at WWDC. This year's update reportedly sacrifices features for stability, to counter iOS 11's famed bugginess. Still, there should be new features to sink our teeth into. We can't know for sure until next week, but check out our list below to see what we expect Apple to announce with the twelfth iteration of iOS.